The Alberta Election Commissioner has ruled that a Calgary political operative made irregular political contributions to the Jeff Callaway campaign during the United Conservative Party’s (UCP) leadership campaign in 2017. The operative alleges the existence of a plan to commit voter fraud in order to secure the election of Jason Kenney as leader of the UCP. The controversy is erupting in the midst of a provincial election, with Albertans set to vote on April 16, and Kenney’s UCP leading by a wide margin in recent polls. A letter sent to Mann outlining the findings of commissioner Lorne Gibson’s investigation says Mann, a power broker in Calgary’s Indo-Canadian community, admitted to being at a breakfast meeting with Kenney in June 2017 where the future party leader promised support for Mann’s “own political goals” if Mann joined the Kenney team. It was an offer he accepted. The commissioner’s letter goes on to say Mann admitted to being at a July 2017 meeting attended by Kenney and others tied to the campaign. The election commissioner found Mann contributed a total of $9,000 to the Callaway campaign that was not his own, agreeing to attach names to contribution forms that had pre-filled amounts of $3,000 for himself and two others. Alberta election rules prevent someone from donating money that is not their own. The commissioner said Mann admitted the funds were not his and that none of the money had moved through his accounts, “reluctantly” providing bank statements and documentation as proof. Mann stressed in his response to the commissioner that neither he nor any of the people tied to him were given money to donate to the Callaway campaign. He simply consented to their names being used on the donation forms. “These transactions were handled only by the select group of people who originally organized the kamikaze campaign and were responsible for handling the financing,” he wrote. The investigation by the commissioner relates to the financing of Callaway’s so-called kamikaze UCP leadership campaign. It’s alleged Callaway ran for the purpose of targeting Kenney’s top rival, former Wildrose leader Brian Jean, with a plan to step down before the vote in October 2017 and throw his support behind Kenney. So far, the commissioner has fined or sent letters of reprimand to five people for donating money to the Callaway campaign that was not their own. Mann would make six. Kenney has strenuously denied any involvement in the alleged plot, saying it’s normal for leadership campaigns to be in contact. He has said he first heard of Callaway dropping out of the race the night before it happened. Documents obtained by CBC News show there was deep co-operation between the two campaigns, with high-ranking Kenney officials providing resources, including strategic political direction, media and debate talking points, speeches, videos and attack advertisements. Alberta’s deputy chief electoral officer, Drew Westwater, said he is not allowed to comment on specific cases. But he confirmed to CBC News that, under provincial election law, videos and advertisements “would be considered a valued contribution” and must be disclosed. Among the Kenney officials revealed in those documents obtained by CBC News was Matt Wolf, Kenney’s current deputy chief of staff. Cam Davies, who was the communications manager for Callaway and Suvaloy Majumdar, who works for former prime minister Stephen Harper’s consulting firm, were also involved, the documents show. Also in those documents was an email in August 2017 that showed Callaway already planned to drop out of the race, something he denies. On March 18, Maclean’s reported on a $60,000 payment from a corporate entity into the bank account of Davies. Davies alleges in that story that the money was then distributed to the campaign through other donors. CBC has not independently verified Maclean’s allegations. An email obtained by CBC News shows the RCMP have been called in to investigate the allegations of irregular political contributions to the Callaway campaign. RCMP media relations spokesperson Fraser Logan has said the police policy is not to confirm an investigation is being conducted unless charges are laid. Central to Mann’s allegations of voter fraud is the question of why or whether fake emails were attached to membership forms in the lead-up to the UCP leadership vote on Oct. 28, 2017. “When I fill the forms in, for a few of the people I know, particularly, that there was no email addresses on those forms and then emails appeared on their membership list,” he said in an interview with CBC News on March 25. “Then who put those emails there?” he continued. It’s a question that Mann says he can’t answer. CBC News has not independently verified Gill’s allegations. It is not known who bought those email addresses. Mann also questions who paid for memberships. Under UCP rules, a membership must be purchased by the individual or an immediate family member. The Alberta Election Act does not prohibit parties from paying for memberships, but they are required to disclose the expense. Those individual disclosures are not made public. 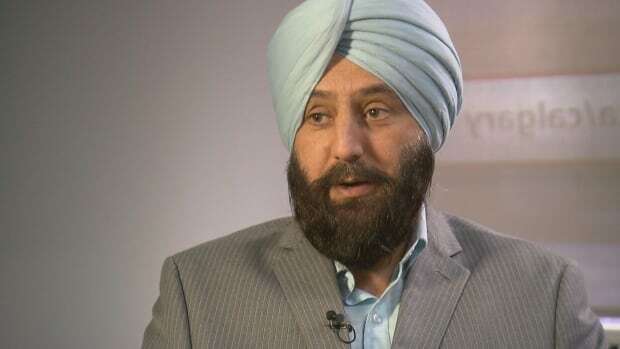 CBC News asked the UCP to respond to Mann’s allegations. “The Jason Kenney leadership campaign followed all of the rules of the 2017 UCP Leadership Contest,” reads an emailed statement from UCP Executive Director Janice Harrington. The election commissioner said Mann should have known the consequences of his actions. He was a UCP nomination candidate in Calgary-Falconridge before he wasdisqualified after it was alleged his team was involved in the assault of a local reporter. Mann, in his response to the commissioner, again says he trusted Kenney and his team. The election commissioner says he is considering an administrative penalty for the three contributions to the Callaway campaign, which means Mann could be fined up to $30,000. It would be the latest in a series of fines levelled against UCP members for their roles in the Callaway campaign. Maja McAllister and David Ruiz were both issued letters of reprimand by the election commissioner for the same offence. Davies has been fined a total of $15,000 for obstruction of an investigation. He has said he will appeal the fines.